Jambalaya Jacket takes a multi-colored print or batik plus 8 fat quarters. 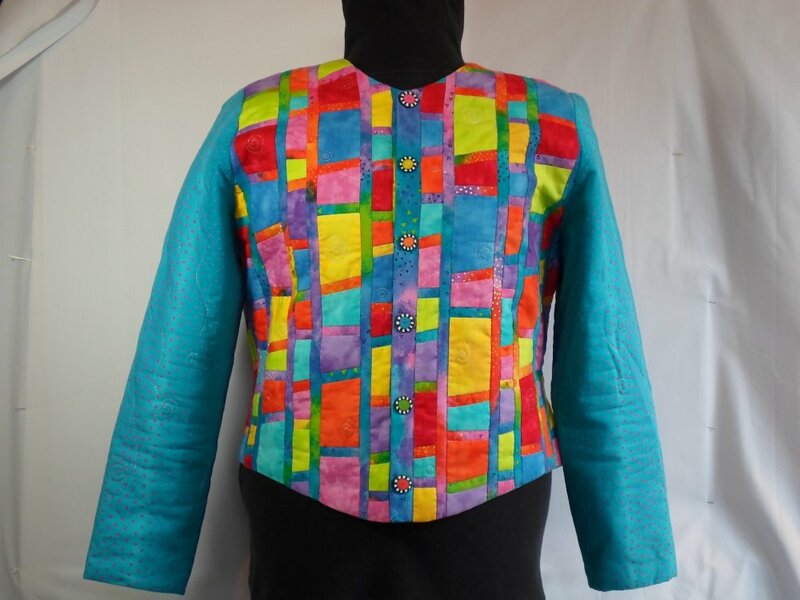 Add quick and easy piecing and create this great looking jacket in bright colors, deep jewel tones or delicious pastels! All sizes XS-XXL, 4-26 included. Using the same garment base as The Pop Top Jacket, it's dart free, has a fabulous fit and a flattering curved hemline. KIT includes pattern, 6 handmade buttons and similar fabrics for the outer shell of the bright or jewel tone jacket. Kits do not include notions or lining. Pastel kit does not include button. Be sure to specify color choice when ordering.